Senior Special Assistant to the Benue State Governor on Special Duties, Hon. Abrahams Kwaghngu, has called on Benue indigenes to rise up and join Governor Samuel Ortom to defend their state against external invaders. Kwaghngu stated this when Permanent Secretary, Ministry of Works, Mr Akaagerger Iber led directors and other top management staff of the ministry to pay condolence visit to the family of Kwaghngu Atebawa in North Bank area of Makurdi over the demise of their father. He said that no outsider can decide who will govern the state. He said despite all the genuine attempts by the Governor to settle the issues around salary payment in the state, more problems were created by officials saddled with the responsibility. He said this has been part of the challenges the governor has been battling with, but expressed happiness that with officials like the permanent Secretary, he’s convinced the governor will weather the storm and put everything in order. 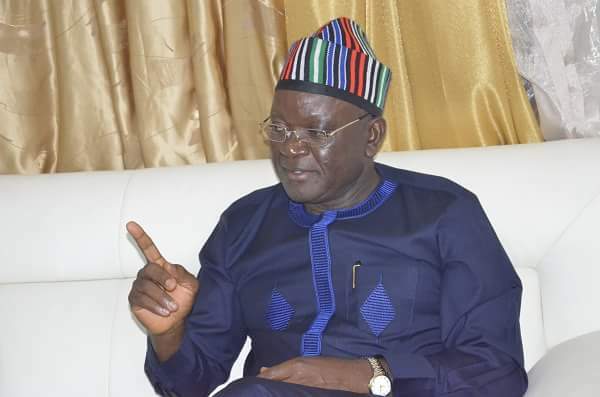 According to the governor’s aide, Governor Ortom was being persecuted because he has resolved to stand with his people who are constantly been killed by invaders unlike others who prefer to wine and dine with forces working at cross purposes with the interest of the state. Kwaghngu then appealed to the people of the state to support the genuine efforts of the Ortom administration in redressing some of these obvious challenges.